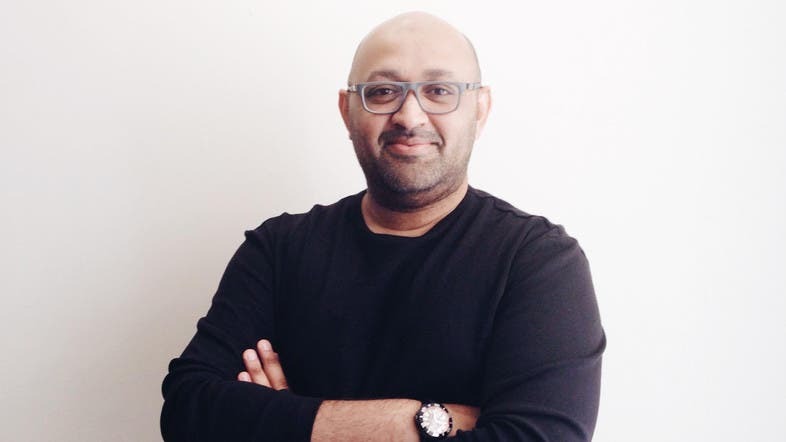 Al Arabiya English exclusively interviewed PayTabs Chief Executive Officer Abdulaziz F. AlJouf for his contributions to ecommerce in the Arab world. PayTabs is economy payment processing and fraud prevention company built to provide buyers and sellers an advanced technology to pay and get paid according to the company’s website. The company has risen within the industry to gain accolades such as ‘Enterprise Agility Achiever’, as the ‘Payment Solution of the Year’ at the KSA Enterprise Agility Awards: Entrepreneur of the Year, in 2015, and more. You have gone through more than one business in your career so far, what have you learned from that and why venture to a B2B payment solution? I believe there are so many opportunities that present themselves for businesses in our region, and globally as well. We reached a level where consumer services play a very vital role when it comes to businesses in our region. Reaching out to businesses and especially the SME sector is a gold mine and any startup that can manage to bring the right products, with the right offer in the right time will be handed the winning card easily. I learned a lot of facts. Firstly, I realized business is hungry for change, business needs to develop and grow with the right tools and approaches to keep up with our digital day and age. Secondly, I noticed a huge gap in the market in terms of payments, finance, technical experiences, and growth. Thirdly, you must pick the right products that are really needed in the market which will help companies thrive and grow. Payments is one of those industries, and this is why when I started my other businesses, I noticed they did not grow as fast and as big as PayTabs, so I saw an opportunity to further strengthen and grow my business. How did Bahrain benefit the idea of your business? I realized at the time Bahrain was one of the easiest countries to start a business in, and it still is! I was actually surprised at how it was almost effortless to set up an operational base for my business here. Of course, this was all possible with the support I received from regulators. 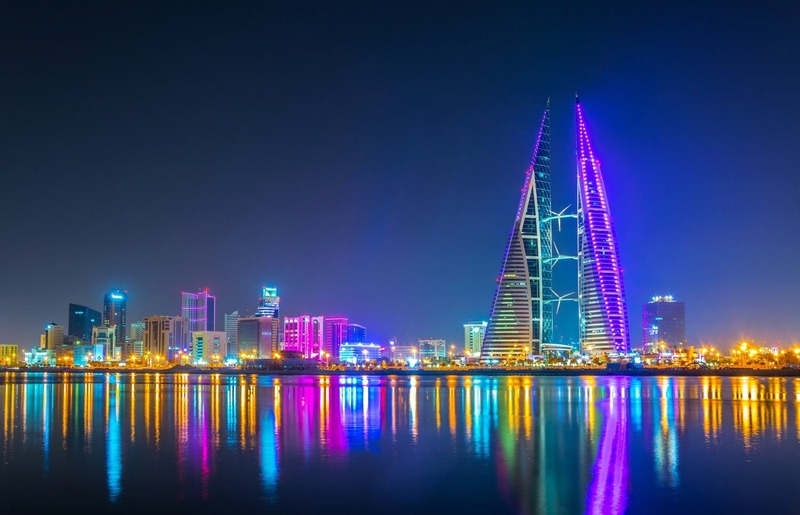 Bahrain has a strong vision to boost its economy through empowering business, and ensures to work hand-in-hand with business owners instead of putting up several hurdles and endless paperwork like you would have faced elsewhere. Plus, I heard high recommendations about Bahrain’s national workforce, and I just knew Bahrain was the country that would help me with a revolutionary idea like mine. To this day, I am yet to be proven wrong. How have you managed to enter the global market just 2 years after your launch? Our focus has always been to go global with our solution as I have seen a lot of opportunities through my travels to other countries. In addition, we received a lot of attention as inquiries have been rapidly coming in from many countries asking us when we are launching in their respective countries. Therefore, this pushed us to gradually provide our services in the GCC, India, Philippines and slowly expand to other South East Asian and African markets. What can you attribute from your personal experiences to entering the entrepreneurial world and launching PayTabs? One of the first things I learnt through my experience is that you can’t do it without money; operation costs are inevitable. You have to work smarter and to be more prepared when it comes to entrepreneurship. Secondly, you can’t do it without a good team. I know building a good team is the second toughest challenge for an entrepreneur, but this is a must as it can in fact make or break your business. Another necessary step in the Startup world is having a co-founder. You’ll need to find someone with matching vision, complementary skills and a temperament you can put up with. Furthermore, you can’t do it without the courage to take risks. I know this because you will have to take risks if you want to make change. Work with people you’ve never worked before, try things that you have no idea about and commit to deadlines that seem impossible. I always looked up to in Bill Gates and Steve Jobs. Gates philosophy of “FAKE it until you make it” is something I believe works well for entrepreneurs. Did you know that he promised IBM that the software for the PCs will be done in a month and he has no idea how to do it! Hats off to both. You were an early starter in the fintech space, and have now entered the third year of operations. Can you describe the entrepreneurial journey until now? It’s a tough game especially when you are one of the firsts and your main suppliers are financial institutes that perceive you as a competitor. This was a challenge at the start. Secondly, raising funds was a very hard task because investors at the time were not entirely aware of what FinTech was. Later on, when I decided to open a branch in Bahrain, this all proved to be easy. At the time, Bahrain was already on its way to becoming a renowned FinTech hub in the region, hence why it was easy to introduce my business to the Kingdom. 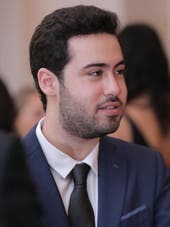 I was provided with the support I needed from the start because Bahrain understood and already had the infrastructure to develop FinTech on huge scale to create a booming industry. What are the technology-based innovative solutions that you have launched? An entire payment processing solution that highly relies on our products like online payment, iFrame, e-invoicing, online payment security and fraud protection, ecommerce marketplace, debit card processing, education system payment platform, ticketing payment system, alternative payments, recurring and adaptive payments. What are your immediate goals and what is the long-term vision that drives this? Our immediate goal is to become one of the largest Fintech global processing companies to come out of the Arab region. Long term? We want to be accessible to everyone around the world, we are here to craft a global payment processor that has a special emphasis on local culture. What has been your experience regarding the supporting ecosystem in the region? What needs to be done to encourage more entrepreneurs in this space? I believe continuous support from regulators will highly benefit Fintech entrepreneurs because once they realize the potential that lies in the industry whether in governmental or private sectors, this industry and overall economy can thrive! I strongly believe our region can lead in this industry with the right platform and support. This approach is a win-win situation for all in the long run! Bahrain is a great example. A regulatory sandbox was recently launched to allow start-ups and FinTech firms to test and develop ideas and solutions that relate to banking. Furthermore, the sandbox allows them to serve local companies instead of just limiting them in a zone. As more and more non-banking companies enter this sector, the competition will heat up, are you prepared to handle this and overcome the challenges? Competition is always healthy for the industry because it keeps on offering the best options for businesses with time. Jeff Bezos mentioned that leaders will always stay ahead of the game and I believe in that. Today we are the leaders in the market with our solution and our large pool of merchants which makes us want to thrive and innovate even more. It’s important to always think ahead and to identify the ways to serve the businesses in our markets globally today and become an economy change driver. Do you see yourself aligning with a major player like a top regional bank? Why not? If there is a top regional bank that begins to think differently, then yes we would be happy to give that a try! SADAD (part of SAMA KSA) is one of the leading institutes in the region who have been supportive to launch services like SADAD Account, and have been working very closely with our team and other companies in the market. This also applies with BENEFIT, the leading debit card payment enabler in the Kingdom of Bahrain. We have been providing BENEFIT to our merchants locally and internationally as an alternative payment solution, and that in itself provides international exposure to BENEFIT.